You know there’s a problem when Facebook’s Scalp Psoriasis and Dandruff page has over 14,000 likes. Most likely, these are “dislikers” who need help. 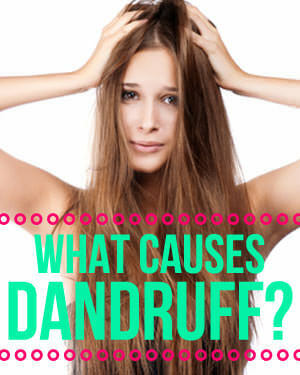 So what causes dandruff? 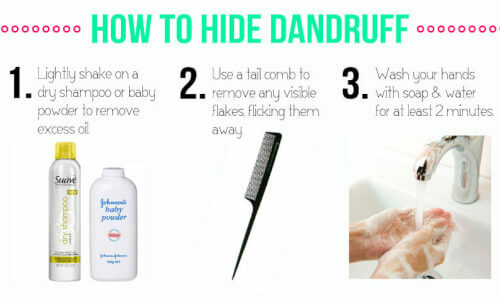 Dandruff is all about your scalp, not your hair. Basically, skin and scalp cells shed and renew themselves all the time. But the turnover rate changes. When your scalp is oily, a fungus (Malassezia Globosa) can multiply out of control when its food source, sebum, is over abundant. As the fungus grows, cellular turnover speeds up. The result: excess dead skin cells, often stuck to your head by oil. Why does this happen? Sebum is composed of fatty acids. In the same way normal bacteria lives on your skin, the Malassezia fungus is always present on your scalp. When the level of oil or sebum increases, the fungus gets more to eat and proliferates, resulting in itching, tenderness, flaking, inflammation, seborrheic dermatitis and other problems. Worse: When the fungus breaks down the oil, it creates an odor that you may not be able to smell. But you can bet everyone else can. Shampooing with the right stuff removes flakes but more imporantly, it treats the fungus and controls the level of sebum to reduce the likelihood of dandruff—and odors. Stress, lack of sleep and even genetics can also play a part. Dr. Marder says dandruff is unfortunately popular, affecting 90% of individuals at some point in their lives. Seborrheic Dermatitis affects about 55% of the global population, he adds. But how do you know if you have dry scalp or a more severe form of dandruff like Seborrheic Dermatitis? See a dermatologist, of course. Are there dry flakes on my shoulders and in my hair, or do I have scalp redness with itching and oily spots where flakes stick to my scalp? This won’t give you the exact cause, but it gives you a simple starting point. At Studio of Colour and Design by Margie Billian in Rockville, MD, Margie Klein Billian gives her clients tutorials in proper shampooing, because too many simply plop shampoo on top of their heads instead of working in sections and thoroughly massaging the product through their hair. (Infrequent or improper shampooing is a particular problem among women who wear hair extensions.) She advises clients with dandruff to add several drops of tea tree oil to their regular shampoo, and says this has eliminated dandruff in a few weeks. If not, she recommends a dermatologist. If you’re going the store route, look for a medicated shampoo. Ingredients to check the label for include zinc pyrithione, (to reduce the fungus) or selenium sulfide, an anti-infective that relieves itching and flaking, and helps remove dry patches. Shampoos with salicylic acid exfoliate the scalp and reduce scaly skin, while ones with coal tar treat symptoms like flaking and redness by slowing the rate at which scalp cells die. (For the best of these shampoos, click here.) Begin by choosing one based on whether you think you have dry scalp or “oily” dandruff and redness. If you don’t see results, try, try again. The problem is that many of these also dry out your hair, and they don’t necessarily tackle the specific cause of dandruff—is the culprit fungus or psoriasis? Dr. Marder says he primarily sees patients with Seborrheic Dermatitis because over-the-counter (OTC) products are not working for them. 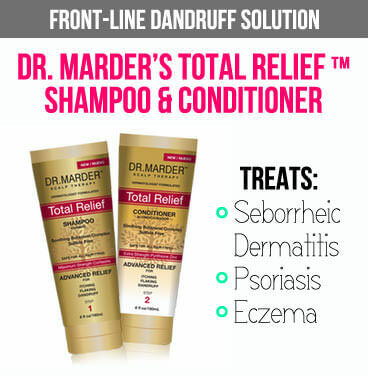 That’s why he recently developed Dr. Marder’s Total Relief ™ Shampoo and Conditioner, which were specifically created for relief from Seborrheic Dermatitis, Psoriasis or Eczema and use vitamins and botanicals, including Resveratrol, Caffeine, Green Tea Extract and Citric Acid. At Salvatore Minardi Salon in Madison, NJ, Salvaore says he’s always been an advocate of his client’s well-being because a healthy scalp and well-conditioned hair make his work look so much better. “You can’t neglect your scalp any more than you can neglect your teeth,” says Minardi. Because many dandruff shampoo ingredients like sulfur result in dry hair, Minardi recommends a 3-step scalp treatment, which is offered in his salon or can be done at home. 1. Using a natural boar bristle brush (which won’t abrade the scalp or make sensitivity worse), slowly brush your hair in sections, working from the nape to the top. 2. Lightly add drops of key essential oils to a cotton ball and work through narrow partings, as you apply the oils to red, dry or flaky areas on the scalp. Minardi chooses lavendar for calming (when abrasions are present), eulycapatus for its purifying effects and sensitive scalps, tea tree as an antispetic, or citrus oils like lemon and orange when there are no obvious sensitivities. 3. Massage your scalp for at least 10 minutes, using small, circular movements to help the oils penetrate. Don’t wash them out until your next shampoo. To cover more bases, combine a medicated shampoo and essential oils in a dual appraoch. Apply the oils and night and follow-up with a dandruff shampoo each morning. Or, add a few drops of oil to the shampoo. If your condition is severe or chronic, dermatologists can prescribe shampoos with higher precentages of the main actives that are in OTC shampoos. Finally, when treating dandruff, style your hair without any products, so you can eliminate their chemicals from the mix. Get a great cut that suits your hair type instead. Lighly shake on a dry shampoo or baby powder to remove excess oil. Don’t use your blow dryer—flakes will just fly and settle elsewhere on your hair. Instead, use a tail comb to remove any visible flakes, flicking them away. Don’t rebrush. Then wash your hands with soap and water for at least two minutes. In the market for the best dandruff products? 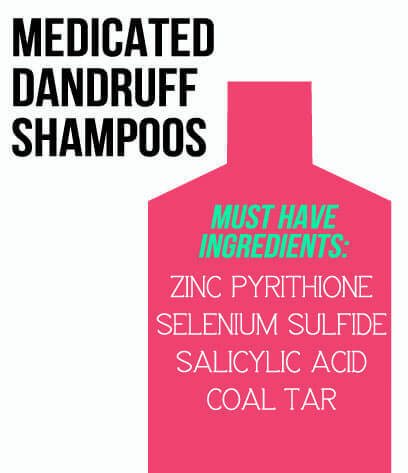 Check out our ultimate list of the best shampoos for dandruff.